A few things that make the leopard gecko different from most geckos are the following: they have true eyelids, they have claws on their feet instead of suction cups, and live up to 30 years. Like alligators, if their eggs are incubated at 92 degrees Fahrenheit most babies will be males, but when incubated at 82 degrees Fahrenheit most babies will be females. Leopard geckos are one of the most popular lizard pets because of their ease of care, size, and gentleness. 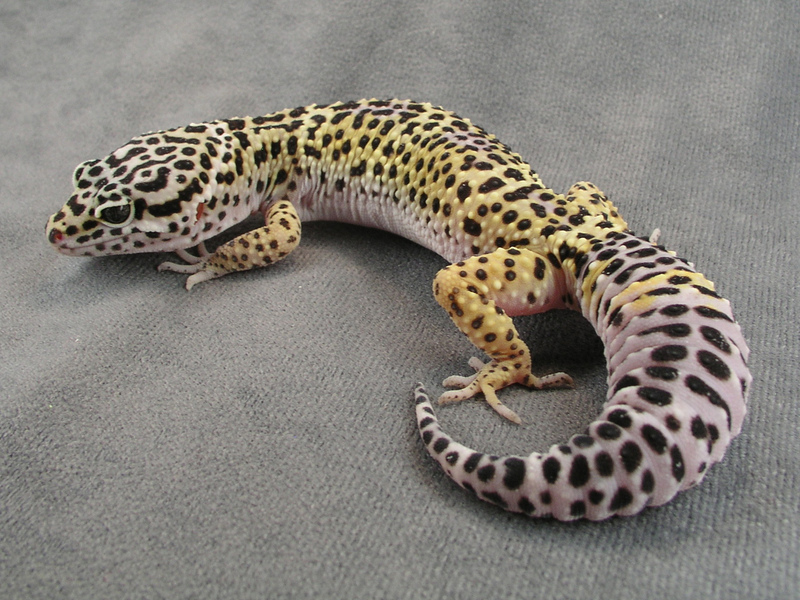 This is a Leopard Gecko. They stalk crickets as cats do mice. They stalk their prey and then pounce on it. They’re very clean and do their business in one corner of their cage. Leopard geckos will also recognize their owners when they enter a room. Like most lizards, if necessary, they will drop their tales.